Hospital pharmacies must maintain safe inventory and protect patients, but are also under increasing pressure to conserve costs. The complexity grows further when it comes to high-value, critical dose drugs – especially as they often have strict storage requirements. RFID healthcare technology is a valuable tool in helping pharmacists deal with these challenges. The accurate, real-time visibility RFID provides allows pharmacists to track storage conditions and optimize inventory to maintain the right stock levels, ensuring patient safety while also achieving significant waste (and cost) reduction. Access-control increases security for critical items. Plus, simple workflows save staff time. This post reviews how the Intelliguard® RFID system works to enable effective management of temperature-sensitive inventory. The Intelliguard® Controlled Temperature Inventory Management System tracks and monitors critical drug inventory levels and the conditions in which they are stored – using RFID-equipped Controlled Temperature Cabinets that automatically update inventory as it is removed or replaced. Staff simply maintains their current workflow – open the door, remove what’s needed, close the door. The Intelliguard® Controlled Temperature Cabinets are equipped with an embedded RFID reader that scans for RFID tags and updates inventory every time the unit door is closed. Information is automatically captured so managers always know what they have in stock and can enable auto restock alerts and reorder reminders. 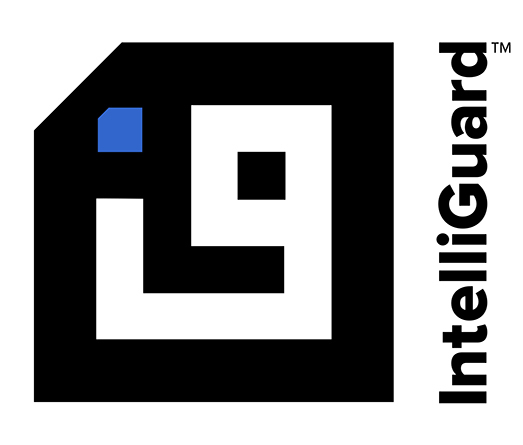 All information is relayed to the Intelliguard® Client Intelligence Portal. Staff and administration have immediate access to actionable inventory information & intelligence in real-time from any Internet connected device. Step 4: View real-time inventory anywhere/anytime. Receive temperature, low-stock and other important alerts based on your pre-configured settings. That’s it! It’s as easy as opening and closing the door to gain real-time inventory visibility. Click to view a brief demonstration of the Intelliguard Controlled Temperature Inventory Management System and view the Client Intelligence Portal. For a quick refresher on how items are RFID encoded so they can be used throughout the Intelliguard® RFID Ecosystem, view our blog post: How Intelliguard® RFID Encoding Works. Once your inventory is tagged and encoded, each vial’s unique identifier is placed into a relational database and utilized throughout the Intelliguard® RFID System to enable effective, efficient and safe pharmaceutical inventory management processes. The Controlled Temperature Inventory Management System is one solution in the Intelliguard® RFID Ecosystem. To learn more about Intelliguard RFID Solutions visit our website. Also, be sure to register for our blog to receive notifications of new posts, including how to increase efficiency, reduce costs and eliminate errors with innovative RFID technology.